We recently announced the exciting news that Mega! 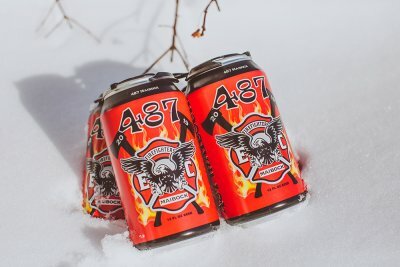 CO-OP Holiday and Travel Stop stores are the EXCLUSIVE retailer for the locally brewed 487 Maibock from Northwoods Brew Pub in Osseo, WI. Find a Location Near You Today! 487 Maibock is a malty beer that has a very mild, graham crackery, nutty almost caramelly flavor. Brewed once a year. Release Date: January 26, 2019. Giving back never tasted so good! Looking for a FUN and rewarding place to work? Join us on Thursday, March 14 from 10am-2pm at Mega! CO-OP Holiday located at 539 Water Street in Eau Claire for our hiring event with immediate interviews! We have Full-Time and Part-Time positions starting at $11.05/hour with multiple pay increases throughout your first two years. While you are there, ask us about our leadership opportunities! 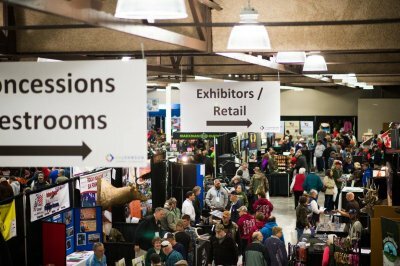 Join us for the 10th Annual Wisconsin Sport Show, Friday, March 15 – Sunday, March 17, at the Chippewa Valley Expo Center (5150 Old Mill Plaza, Eau Claire, WI 54703). The event will include over 150 exhibitors showcasing outdoor products, services, lodging and recreation opportunities, as well as boats, ATVs, blinds, fishing and hunting equipment, dog kennels and trainers, and more. There will be a number of informative presentations and seminars available to attendees. The show is for all ages, complete with a petting zoo and mascots for the kids. Parking is free with all day concessions available and you can expect thousands of dollars in door prizes! Kids can meet and greet Bucky – our new mascot! All active-duty and retired military members get in FRIDAY ONLY from 3 to 8 PM for just $5 at the Door. ID may be requested. No discount for weekend pass. All individuals 62 years of age and older get in SUNDAY ONLY from 9 AM to 4 PM for just $5 at the Door. ID may be requested. No discount for weekend pass. This season of 60 Days of Giving was truly special. 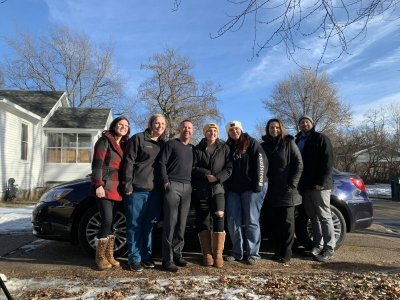 Last month we took part in Morrie’s Chippewa Valley Mazda first of two 60 Days of Giving surprises to veteran James Heber. 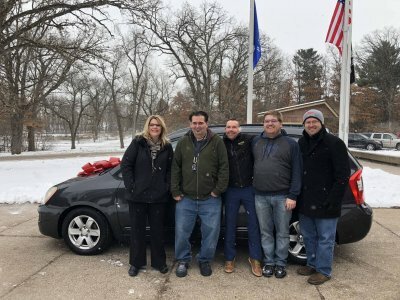 In the spirit of giving, James was also gifted a new car by someone else so he wanted to pay it forward and have the car given to him by Morrie’s go to someone else who needed it. Which brings us to last Thursday, January 3, 2019, where we were humbled to take part in not one, but two 60 Days of Giving events in one day to Abby Schroeder and Sarah Sturtz. Each giveaway including a free car from Morrie’s CV Mazda, as well as a year’s worth of free gas from Mega! CO-OP and additional generous gifts from Metropolis Resort. My daughter, Kirsten “Abby” Schroeder is (by a miracle) commuting to Center City, MN attending the Hazelden Betty Ford Graduate School of Addiction Studies! Her round trip is over 4 hours in a 2004 vehicle with over 150,000 and not safe anymore! Did I mention she has overcome drug & alcohol addiction herself 7 years ago, is a single mother of Nova Faye age 5 without any financial assistance, graduated from UWEC last spring 2018, teaching yoga, meditation, healing all over the Chippewa Valley, is very involved in AA/NA, as well specifically trying to help teens with AODA! Now she is commuting for the next 1 1/2 to Hazelden so she can get her Masters degree and become a certified counselor. Her car is literally on its last leg and Kirsten “Abby” is in college debt. 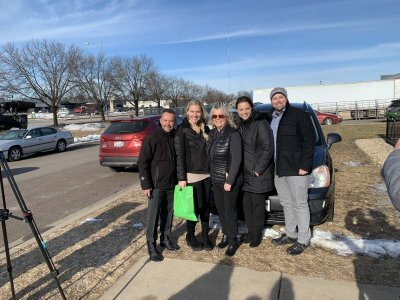 This car that Morrie’s would provide, not only would benefit my hard working daughter and granddaughter, but truly will have an impact on our community. Her network is unreal and so many people in the Chippewa Valley will benefit if she can continue her graduate studies! And, all her students that depend on her for yoga, Koudolini, yin yoga, etc. In the last 4 years, her oldest daughter has undergone major heart surgery and currently lives with an aneurysm that they monitor periodically in Rochester. Sarah’s other daughter who is 14 years old, was just diagnosed last week with a very rare bone cancer. They found that it has spread throughout her body and will be starting chemo today at Mayo in Rochester. She will be going through 14 weeks of treatment, 3 days at a time so they will be driving back and forth a lot. I know she could really use reliable transportation and help with gas money as it is unclear how much time she will need off of work. I can’t imagine how devastating it is to go through something like this and feel that she could really use any glimmer of hope in an otherwise bleak situation. We were thrilled to be able to take part in the first of two of Morrie’s Chippewa Valley Mazda 60 Days of Giving today in Chippewa Falls. The first winner of a free car from Morrie’s CV Mazda and a year’s worth of free gas from Mega! CO-OP Holiday was James Heber. James is a homeless veteran living at the Veterans Housing and Recoving Program at Pine Hall in Chippewa Falls. James was nominated by his case manager, Dana Schimmel. James is a veteran at the Veterans Housing and Recovery Program for homeless veterans in Chippewa Falls. James has been working very hard at getting his life back on track. James works full time at a gas station and rides his bike 7-8 miles to his job every day. saving money, however is in need of a vehicle to better his commute to his job. 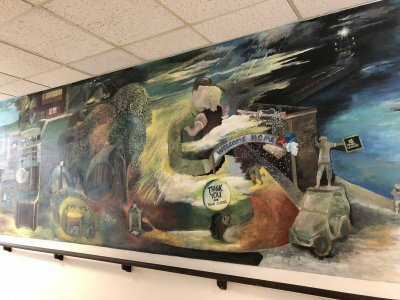 James has recently completed a 36′ painted mural at the program displaying the life of a veteran and some of their hardships they deal with. James volunteered over 800 hours to paint the mural in Pine Hall that is a story of a veteran. Find the Story Online at WEAU 13 News! We’re excited to be able to play a part in giving back to our communities in such a special way by offering free gas for a year with Morrie’s free car during the 2019 60 Days of Giving. The second giveaway will take place on January 4, 2019. The deadline to submit your nominations is December 27, 2018. Make a nomination at 60daysofgiving.com!